Ultraseal America will be exhibiting their best-in-class porosity sealing chemistry and technology at the North American Die Casting Association’s (NADCA) Die Casting Congress and Exposition in October. 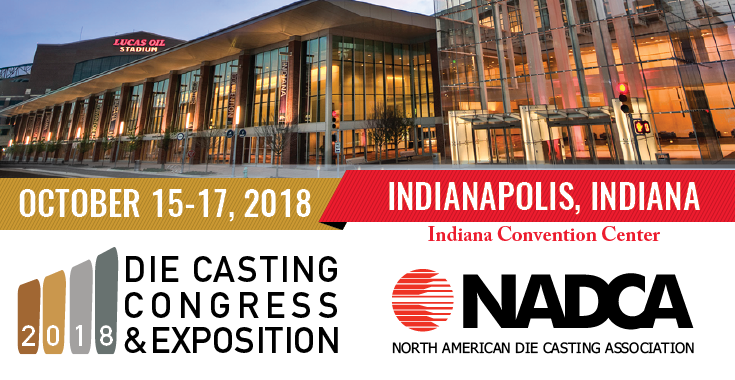 The three-day event, taking place at the Indiana Convention Centre in Indianapolis, will run from 15 to 17 October and feature US and international die casting companies and suppliers. As a leading provider of porosity sealing technology, sealant and services to the die casting industry around the world, Ultraseal America’s Technical Sales Manager, Bob Remler, will be at the show to share how unrivalled process expertise, technology and support make Ultraseal the ultimate solution to porosity sealing challenges. Bob will be on hand to talk through the recent Honeywell case study, where moving to Ultraseal recycling technology has boosted productivity and saved around $172,000 pa in water usage costs for the manufacturer’s Dublin, CA-based Environmental and Combustion Controls division. To find out more about Ultraseal porosity sealing systems, sealant and services, speak to Bob at booth 814.